Proton pump inhibitors, commonly used to treat heartburn and acid-related disorders, have been linked to kidney failure, chronic kidney disease, and several other health issues. Household-name products such as Prevacid® and Prilosec® belong to this family of drugs, which are available both by prescription and over the counter. These are some of the most commonly used drugs worldwide. 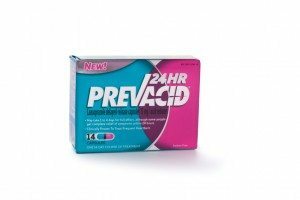 Proton pump inhibitors work by reducing the amount of acid produced in the stomach. This relieves symptoms for patients with everything from moderate heartburn to gastroesophageal reflux disease (GERD), stomach ulcers, and inflammation of the esophagus. While proton pump inhibitors prevent acid buildup in the stomach, they can also block absorption of minerals that are critical to good health — especially kidney health. Until recently, there has been little evidence that using proton pump inhibitors over a period of time could cause harm. However, new studies are linking these drugs to a 96 percent higher risk of kidney failure and a 26 percent higher risk for chronic kidney disease. This is a strong indicator that prolonged use could be deadly, and affected patients feel they were not properly warned about these risks. If you have been injured or have a loved one who has been injured by prolonged use of proton pump inhibitors, contact Ward Black Law in Greensboro, NC, today. Regardless of the state you live in, we can provide a free and confidential consultation, guiding you on the best next steps should you decide to pursue legal action.